Harm – by missing doses when a drug isn't available, a patient may be forced into non-compliance and a chronic condition could deteriorate as a result. Inconvenience – if they run out, patients may have to return to their doctor/pharmacist to get advice on how to manage the situation and/or to be prescribed an alternative drug. Uncertainty – insufficient supplies of a medicine, or being prescribed an alternative, may confuse the patient or cause anxiety about long-term management of a medical condition. Dissatisfaction – understandably, patients may be dissatisfied if they can’t obtain a medicine they need. Patient is taking a medicine that isn't on your hospital's formulary and it needs to be ordered in. Stock management issues (e.g. stock ordering levels are wrong; rarely used medicines have expired by the time they’re needed). Predictable increased local usage, but Pharmacy Stores have not been informed (e.g. a change in policy towards use of a medicine). Regulatory (e.g. 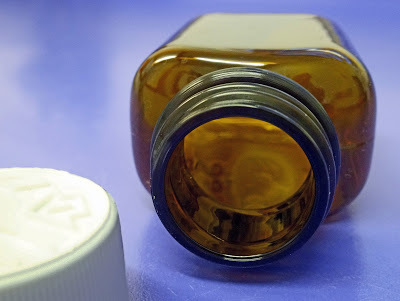 the latest batch of a medicine fails quality assurance; drug recall; new manufacturing standards lead to a manufacturing delay while they are implemented). Manufacturing failure (e.g. catastrophe at factory; raw materials shortage). Increased demand (e.g. evidence-based change in practice, or sudden change to use of an infrequently used product due to shortage of the first-line choice). A patient may be worried if their medicine is not available so it’s important to explain why a shortage has occurred, and how long it may last. If a shortage might mean switching to an alternative product, then what will this mean for the patient? A different method of administration, potentially new side effects, additional monitoring? For medium to long-term shortages, pharmacists need to explain the situation to their community of prescribers, then help to identify suitable alternatives and advise on how best to prescribe them safely. If you encounter a shortage of this kind, your Trust may already have a memo or policy about which alternative(s) you are to use. The Specialist Pharmacy Service website maintains a helpful description of selected individual medicine shortages and discontinuations, and may offer information about alternatives. For guidance on managing medicines shortages in secondary care, refer to the Royal Pharmaceutical Society's Best Practice Standards for England. If you have a subscription, you can read more about why shortages occur in Drug and Therapeutics Bulletin 2015;53:33-36. We've devised some questions to ask to help you manage an individual inpatient, starting on the next page.